For a while now, I’ve avoided offering consulting services. I’ve wanted to focus my time and mental energy on my sports facility scheduling software instead. 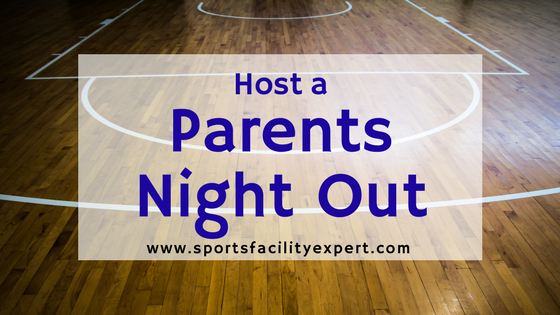 When owners have come to me for advice on sports facility management, I typically direct them to this blog, where I’ve already covered most of the topics they ask about. However, I’ve recently had a change of heart. I’m no longer running my own sports facility (I sold it a few years ago), and I have a great support staff in place for eSoft Planner, which has freed up my time a bit. More importantly, when I’ve taken the time recently to work with sports facility owners one-on-one, it has really helped solve the issues they were struggling with. I hate to see sports facilities close their doors. Unplanned small business shutdowns hurt people, hurt communities, and waste the time and money that were spent trying to build something special. I want to help stop it. How do I know so much about small sports facility failure? I battle it constantly as I assess retention rates for my online software business. Our turnover issues due to facility closure are significant. I work with owners every day, and frankly it shocks me how many have started their businesses with no industry experience. It’s particularly important to clear up any issues early on, when a sports facility is working on things like choosing a business structure, acquiring funding, and hiring their first staffers. Early help can keep businesses from spending months or years on a money-losing path that ends in shut-down or a less-than-graceful exit. However, it’s never too late to get some outside perspective that could change the way you’re operating. Even those already fully invested in running their facility day-to-day have lots to gain from getting back on the right track as soon as possible. That’s why I’ve decided to open up some availability for personal consultations — but only for people who are dead serious about making their business a success. 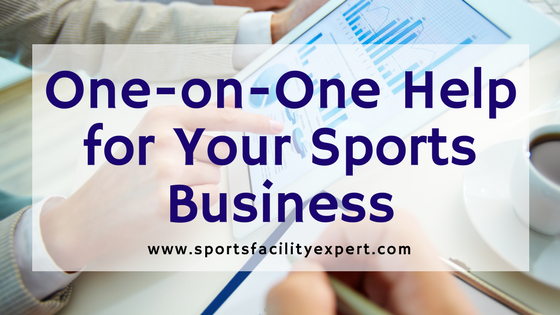 You’re probably in the sweet spot for a personal consultation if you’ve already invested time and money into starting your sports facility, but are about to invest lots more. This is usually as you’re nailing down your brand, your business structure, and your programming. I’m keeping this pretty simple to start out with. Once I see what the demand is like, I might have to start adding some caps on hours booked or adjust the price. However, for now, I’m happy to do 2-hour phone consultations for serious business owners for $299 on any two topics below. This is one of the topics I get asked about the most, and it’s one of the topics with the most variable answers. The amount of funding you need and how you can get it depends a lot on your business model and your personal financial connections. I used plenty of my own money and created a partnership to get the rest of what I needed. However, I wouldn’t necessarily choose the same path if I had to do it over again, and I’m happy to share everything I’ve learned with you as it relates to financing your own business. 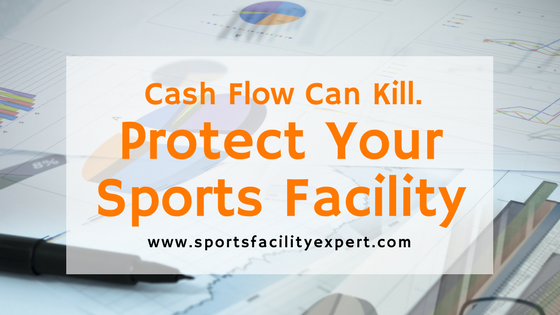 Every business is different, but sports facility businesses tend to fall into one of a few categories. I’ve worked with each type, from big boxes to boutique academies, and I know what works the best for each. The model you choose will depend on the space you’ve found and your personal vision for the company. We will discuss which one is best for you. Many of you have already put in many hours of work on a business plan. Maybe you’ve even used a professional service or software program built for the purpose. However, without industry-specific advice, you have no real idea whether your numbers and projections are realistic. I will review your business plan and give you feedback about its strengths and weaknesses. Those with experience in the sports world often struggle with how to position their new programs, how to reach their target audiences, and how to get the word out to land new clients. Today, you have lots of marketing options and tools at your disposal, especially in the digital world. I’ll go into detail about which ones worked for us and how to develop your own 12-month marketing plan. I’m also happy to review any marketing plans you’ve already developed. Choosing the people who will help you run your sports facility is one of the most important things you’ll do as a new owner. Staffing structure depends a lot on your business model, but also ties in to your finances and overall mission. Staff issues can make or break your business. Together, we’ll figure out what credentials you should look for for each position, what you should pay, and where to find potential hires. Your programs are the lifeblood of your sports facility. Even small changes in how you approach creating your programs can make a huge difference to your bottom line. We’ll discuss how to identify your target audiences and create sports-specific programs for them, including their pricing and schedules. I’ve worked with people at every stage of sports facility ownership — from before the business plan is finished to neck-deep in day-to-day operations. If you’re struggling in any way, an expert outside perspective could be what saves you. Click the “Sign Up Now” button and fill out the payment form to get things started. I’m looking forward to hearing from you.